April 05, 2009 | Comments (0) | by T.R. It's Sunday afternoon and the Phillies and Braves are mere hours away from kicking off the 2009 Major League Baseball season. Hope is springing anew, as you can finally throw away your NCAA bracket and prepare to ignore the NBA playoffs. 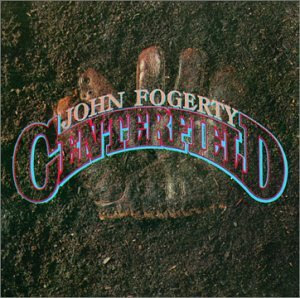 You will hear John Fogerty's "Centerfield" tomorrow, and a smile will extend across your face. Each baseball squad is currently in a position to win their division. Your fantasy baseball team looks just as good today (if not better) than anyone else in your league. You may be skipping out on work tomorrow to attend a game, or just sit at home and take in all five being shown on ESPN. Opening Day belongs to you, your team, your city, and all of the fans who live and breathe baseball. Looking back, doesn't it feel a little odd that the Phillies are the defending World Series champions? And not only that, but the fact that they beat out the Rays for the title? Did it all really happen? Was it the rain delay disaster that leaves a bad taste in my mouth from the World Series? I don't mean to minimize what the Phillies accomplished; they clearly put it all together at the end and won the trophy on their own merit. Maybe it's just that I had no vested interest in either the Phillies or the Rays. Perhaps I just feel unfulfilled because us Cubs fans had set ourselves up for such an emotional let down. Dave Winfield is now on Baseball Tonight. Is he really that tall, or are Ravech, Gammons, and Kruk all that short? Winfield looks like a beast, but has a soft and comforting voice. Is Fernando Vina still employed by ESPN? I'd like to see Winfield and Vina stand back-to-back. A quick look at the always reliable MLBTradeRumors.com tells us that Matt Clement has retired. Clement and his chin beard but together a few decent seasons for the Cubs, so we give him an affectionate pat on the rear as he moves on. The trendy prognostications this pre-season seem to be that 1) anyone can win the AL Central, including the Royals, and 2) the Reds will make a push for second place in the NL Central. The Reds claim is plausible, particularly because the Cardinals and Brewers did little to improve their clubs. The Royals, however, are still a huge step behind the Twins and Indians, who will duke it out all summer for the division title. I wish Peter Gammons could just write a dependable, weekly Diamond Notes column like he did back in the day. I blame the Internet. It's nice to have the Cubs opening the season with a night game instead of a bitterly cold afternoon game in Chicago or Cincinnati. I'm all for a two city road trip to kick off the season if it means avoiding inclement weather. And to expound on the last point, the White Sox/Royals Opening Day game in Chicago has already been postponed due to snow. Clearly April weather has once again come as a surprise to the schedule-makers. Ugh, Steve Phillips joins the ESPN Sunday Night booth. He and Joe Morgan are just so unlikeable. Rick Sutcliffe needs to be promoted to the Sunday night game in the next few years, and that's not just a Cubs bias. One final Cubs note: As you're all sure to know by now, Samardzija has been sent to Des Moines, and Chad Gaudin was cut. It was pretty clear that the final two bullpen spots would go to Angel Guzman (out of options) and David Patton (Rule V pick) due to their contractual constraints. So, are we picking the Cubs to win the 2009 World Series? Not today. Today anyone can win the World Series. Well, maybe not the Pirates.